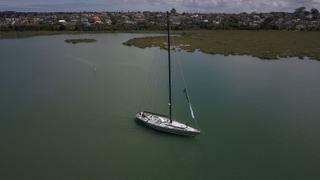 Yachting Developments has relaunched the 24.38 metre maxi racing yacht Lion New Zealand following a two year extensive refit. Lion New Zealand arrived at the Hobsonville based yard in May 2017 and was relaunched in Auckland on March 11 in front of a crowd of well-wishers. 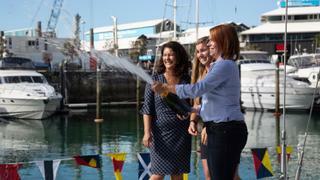 She was rechristened by Bianca Cook of Yachting Developments, alongside Michelle Khan and Evelien Van Vliet of the NZ Sailing Trust. Her extensive refit included a new mast, boom and keel, as well as new rigging, deck winches and electronics. The yacht also underwent a full paint job. A new propeller shaft, engine and propeller were fitted alongside new navigational systems and plumbing. Lion New Zealand's interior was also completely upgraded, with all new accommodation, a reconfigured galley and forward area. As a result of the refit, the yacht will now be lighter, faster and more efficient, the yard said. Managing director of Yachting Developments Ian Cook, who worked on Lion New Zealand's build more than 30 years ago, described the yacht's relaunch as "a very proud moment". "The refit work has allowed Lion to have been upgraded and repurposed for her new role. 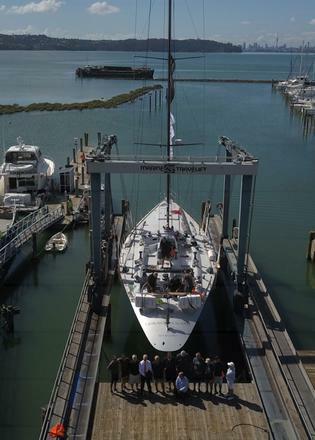 Yachting Developments managing director Ian Cook described the yacht's relaunch as "a very proud moment"
Designed by Ron Holland and launched in 1985 for Sir Peter Blake, Lion New Zealand raced in the 1985/86 Whitbread Round The World Race. 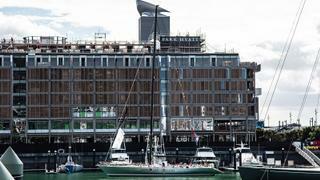 She was purchased in 2008 by the NZ Sailing Trust, which uses her to provide sailing experiences for young New Zealanders. In the nine years preceding the refit, Lion New Zealand covered more than 200,000 nautical miles and welcomed thousands of guests on board along the way. Other superyacht projects currently under development at the New Zealand yard include the maxi sportsfish yacht YD1017.